Marilyn and The Olive Tree win Crawley Community Achievement award!! We had some really great news to share and celebrate on Wednesday! 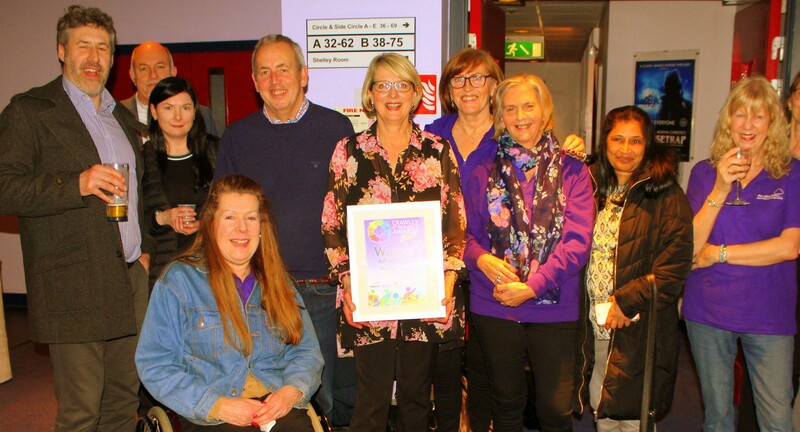 There was only one award at the fantastic Crawley Community Awards which could follow the Pride of Crawley winner Gareth Southgate OBE and that was the Achievement award for Marilyn and The Olive Tree! 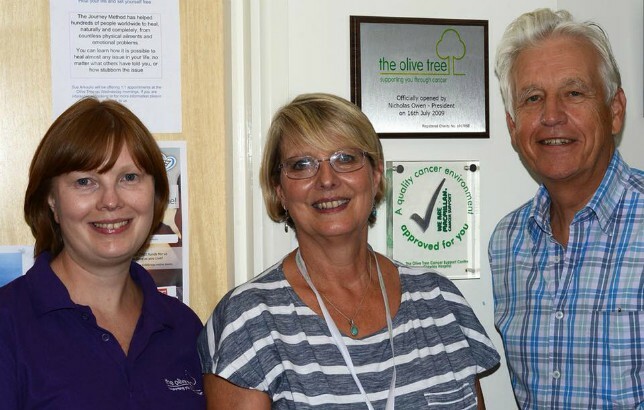 We think it's an incredibly well deserved award and when asked Marilyn said "it's a joy to work with all the team and volunteers and it's so important to offer the care we pride ourselves on for all those who come to the Olive Tree as they have put their trust in us at a very vulnerable time in life". Fantastic for Marilyn to have this recognition for all her hard work and passion and thank you to all who nominated us! 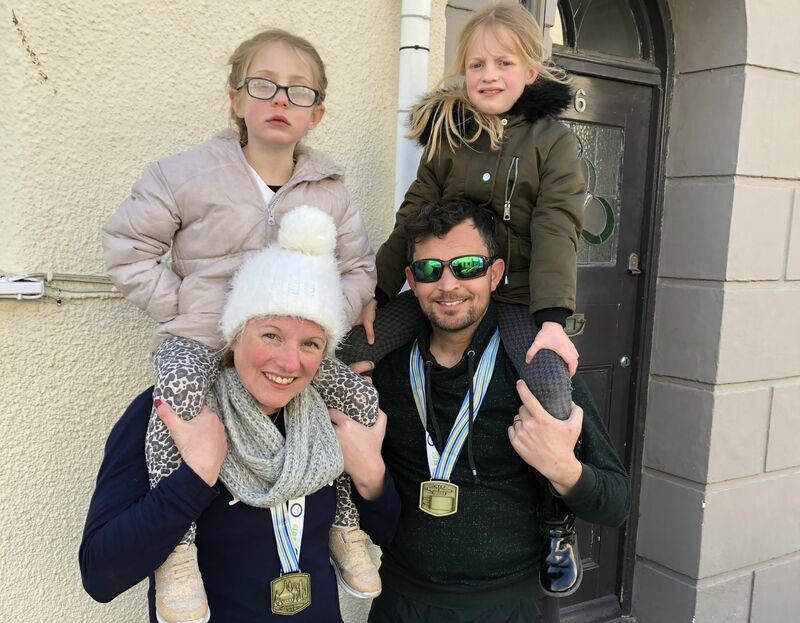 Kirsty and Nevil Perryman-Best both completed the Brighton Marathon raising an amazing £1126 for the Olive Tree - thank you both from all at the Olive Tree. 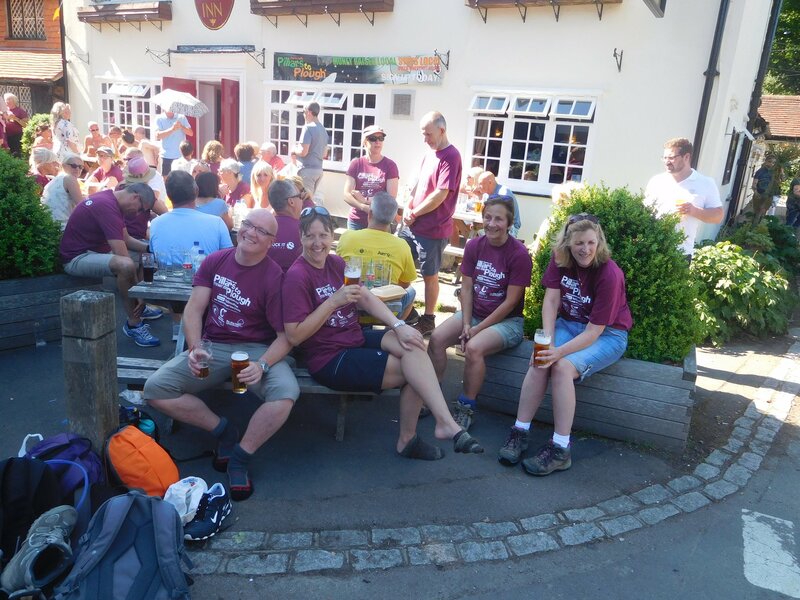 Kirsty's report on their epic achievement follows below. Have you just been diagnosed with prostate cancer? Are you worried that you might have prostate cancer? Then please feel free to call in to the Pelham Buckle pub in Ifield on 25th April, 6.30 - 8.30 p.m., to find out more by chatting to members of the Olive Tree Cancer Support Centre's prostate cancer support group. All welcome. 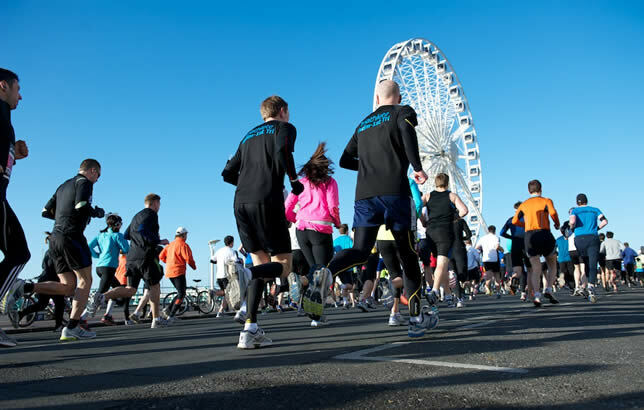 Local couple Kirsty and Nevil Perryman Best will be running the Brighton marathon on sunday 14th August. 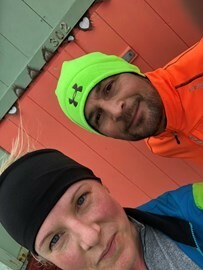 They are both training hard and we wish them good luck in this grueling event! The Pillars to Plough is Ifield Chestnut House’s annual sponsored walk from Brighton (Pillars) to Crawley (Plough Inn). The Pillars to Plough is organised primarily in support of three local charities of which the Olive Tree Cancer Support Centre is one. The full Pillars to Plough is a 20 mile walk, but there are also options to walk 10 or 5 miles so that everyone can be involved. Following the walk everybody congregates at the Plough Inn in Ifield for a drink and a bite to eat; it is an excellent community event. Lymphoedema Awareness Workshop, 6th March 2-4 p.m.
Lymphoedema is a condition which can affect cancer patients following surgery and/or treatment. This workshop will provide information about the condition. There will also be a question & answer session. If you would like to join the dedicated, supportive and enthusiastic team at the Olive Tree as a Macmillan Support Worker please read on to find out more about this new opportunity at the Olive Tree. Horsham Rotary Pancake Race 21st February from 12 noon. 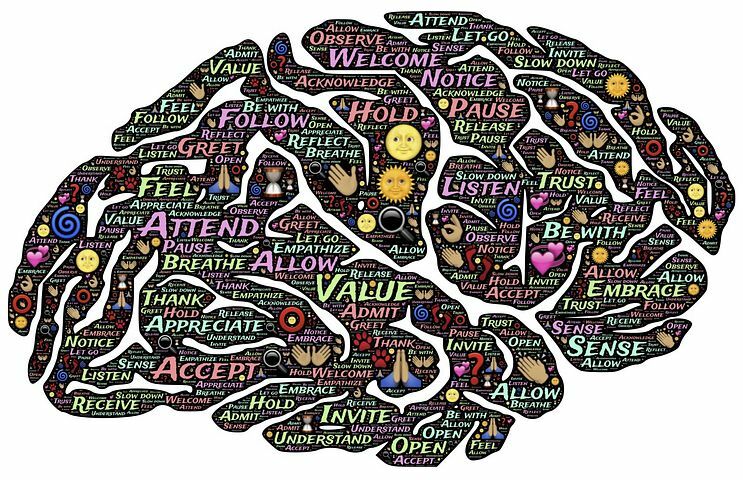 We have added some great new workshops and drop-ins to the usual wide range of therapies and services at the Olive Tree this month including relaxation and kinesiology. Mayor of Crawley Carlos Castro and his wife Katia Castro joined supporters of the Olive Tree Cancer Support Centre for a fundraising evening at Hispalis Spanish restaurant in Crawley. 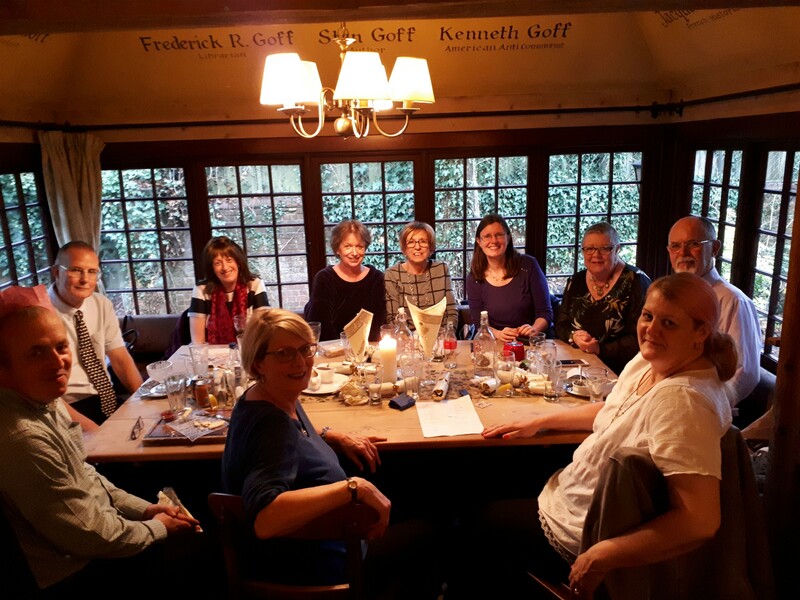 The evening was greatly enjoyed by all present and approximately £900 was raised, all of which will go towards helping the Olive Tree team to continue supporting local people affected by cancer. 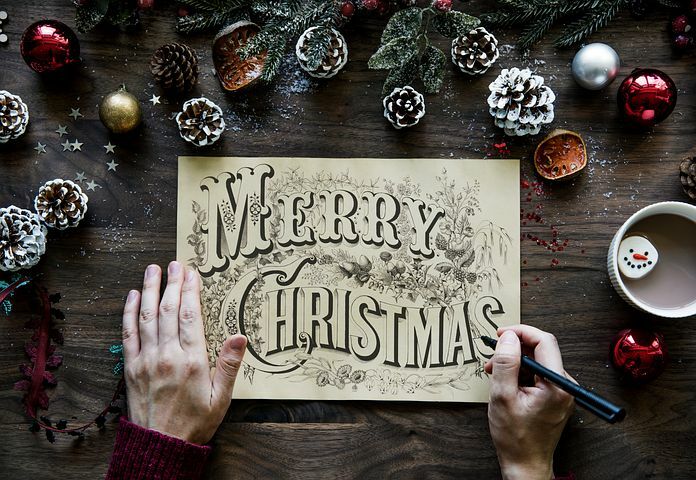 A big thank you from everyone at the Olive Tree to Lena Hodge and her friend Sophie for raising funds for the Olive Tree by making and selling Christmas tree decorations. Fundraising volunteers we need you! We are looking to expand our team of fundraising volunteers so that we can continue to provide our much needed support to local people affected by cancer. 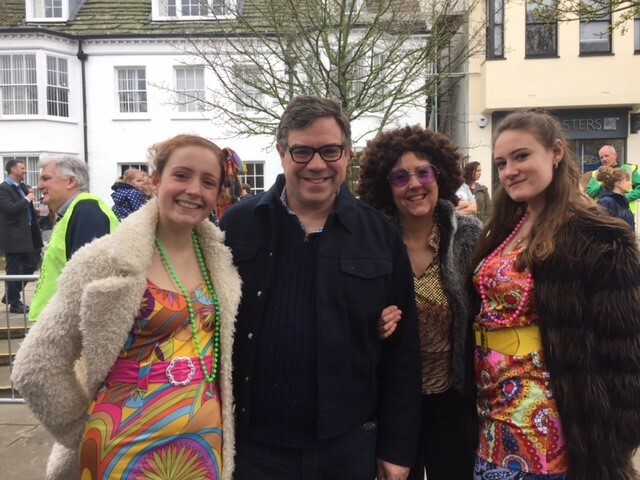 Whether you would like to help organise a fundraising event, staff our gazebo at a community event, research and submit grants or liaise with local businesses, there will be a role for you! Please read on to find out more. 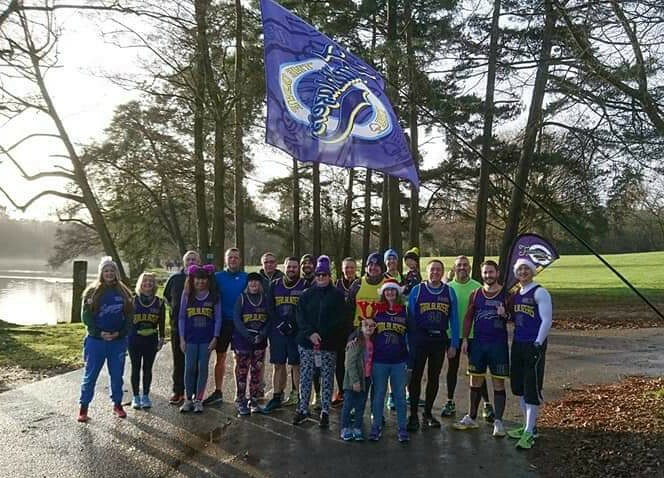 Members of the the Olive Tree Trailblazers and their supporters held a "12 Laps of Christmas" event on a very chilly December morning in Tilgate Park, raising £150 for the Olive Tree whilst doing so. Now in their fourth year, the Crawley Community Awards recognise local people and organisations who devote their time and skills to support others in the community. Nominations for the awards can be made from now until the deadline of 31st January. We would love to be amongst the nominees! 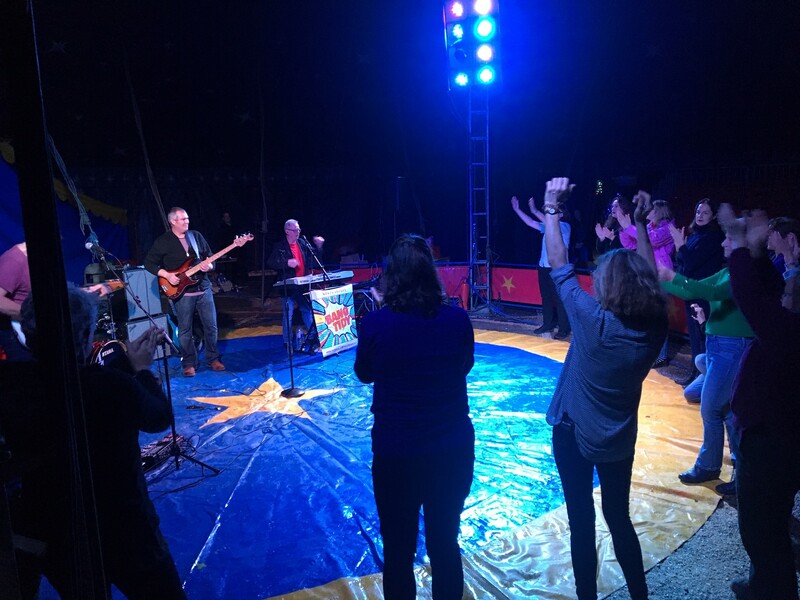 Local party band "Bang Tidy" played a lively set in the big top to fiish off a great fundraising event at Squires Garden Cetnre in Washington. The Olive Tree Secondaries Club celebrate Christmas early with lunch at Goffs Manor in Crawley. 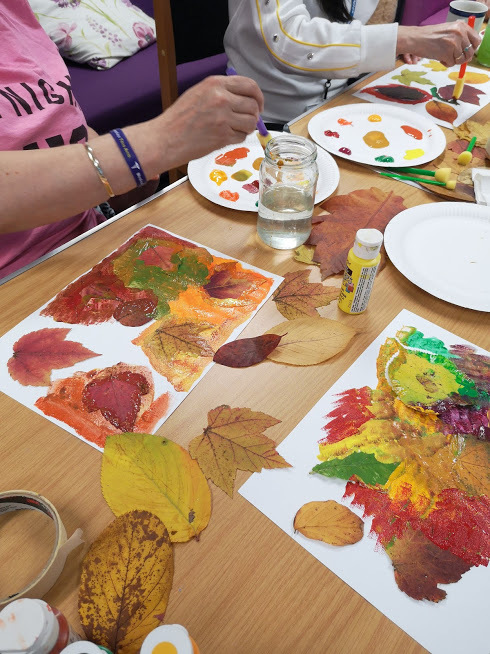 Partcipants in a recent Therapeutic Art sesssion at the Olive Tree produced some lovely pictures based on the theme of Aumtumn colours. 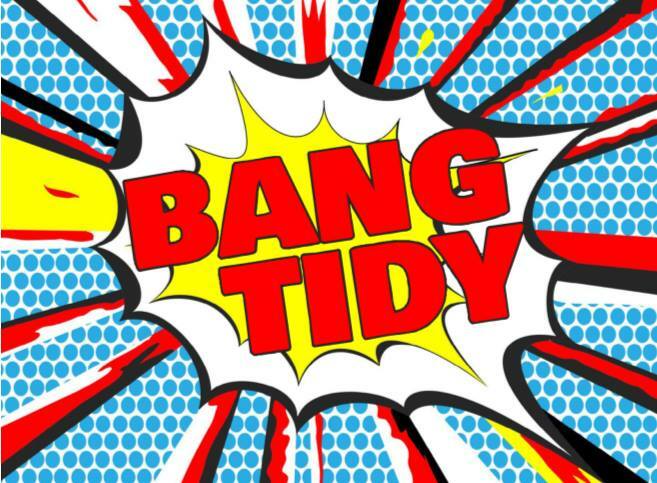 On Wednesday 5th December Bang Tidy, an excellent party band which specialises in covers of rock, pop, New Wave and other classics, will be performing in the Circus Tent at Squire's Garden Centre. 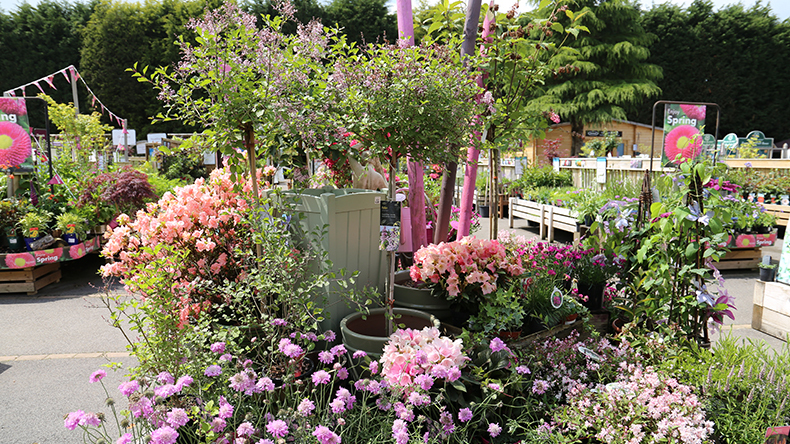 Squires Garden Centre in Washington has chosen the Olive Tree as their charity of the year! 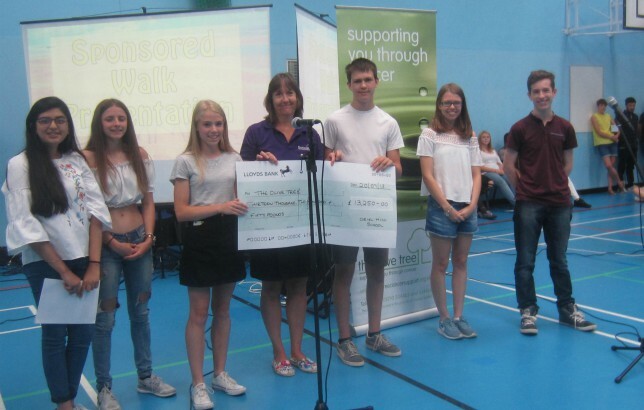 We look forward to working with the team at Squires to raise funds for the Olive Tree. 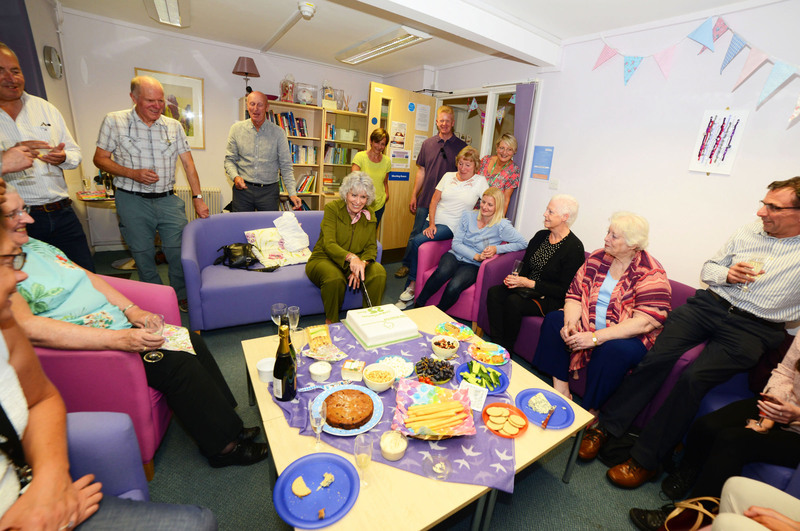 The Olive Tree celebrates 25 years of supporting local people affected by cancer. 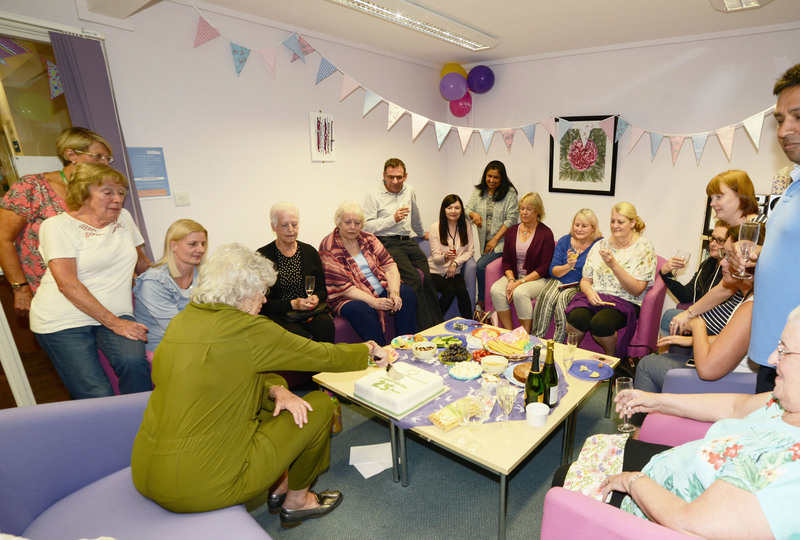 It was lovely to have a visit from our Honorary President Nicholas Owen who was enthusiastic to hear about our ongoing work supporting those with cancer and those close to them in Sussex. 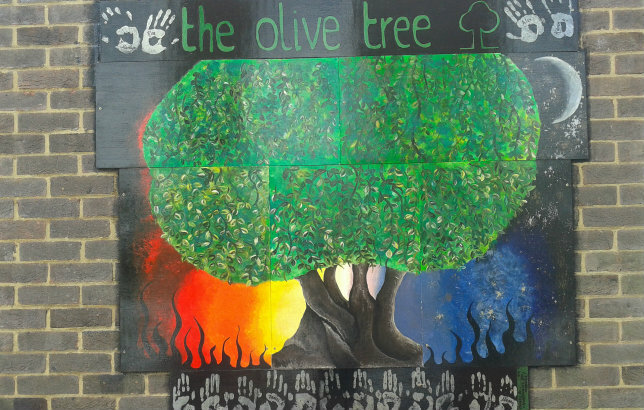 Get the latest Olive Tree news, information, upcoming fundraising events and past.